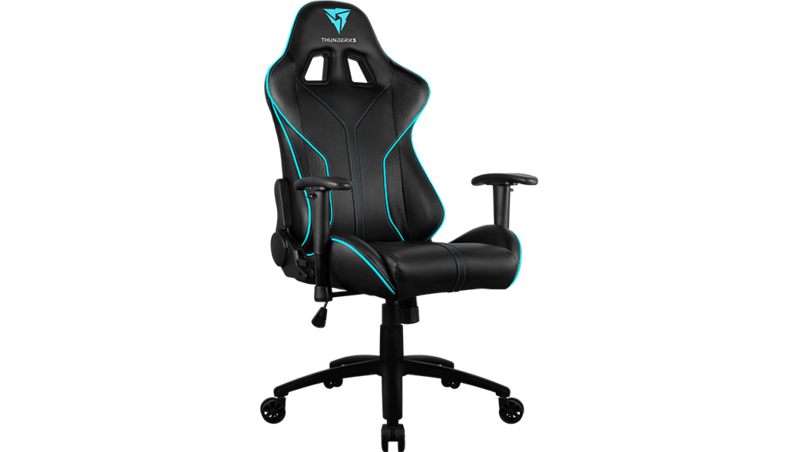 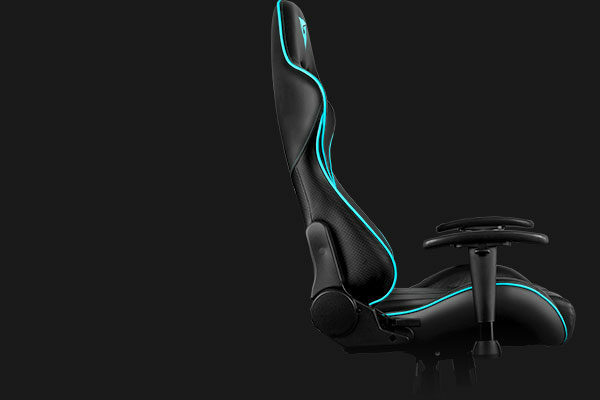 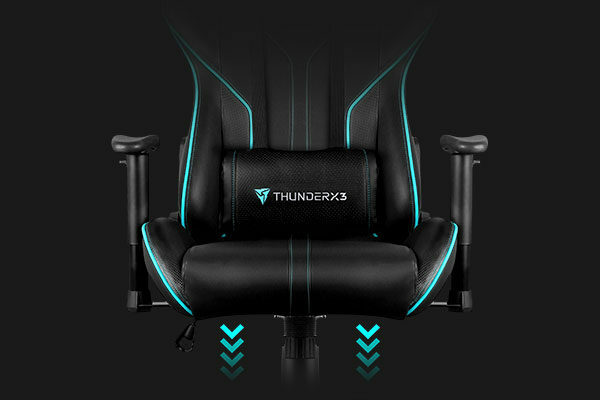 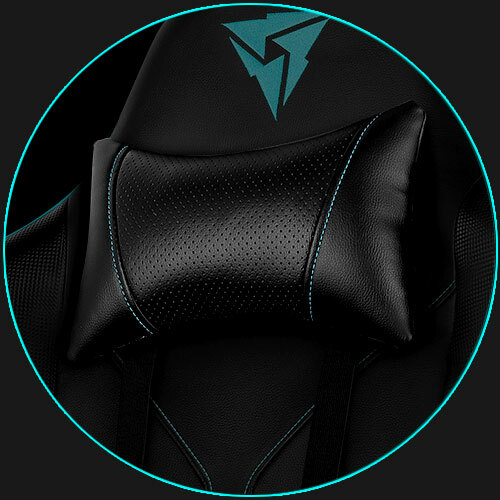 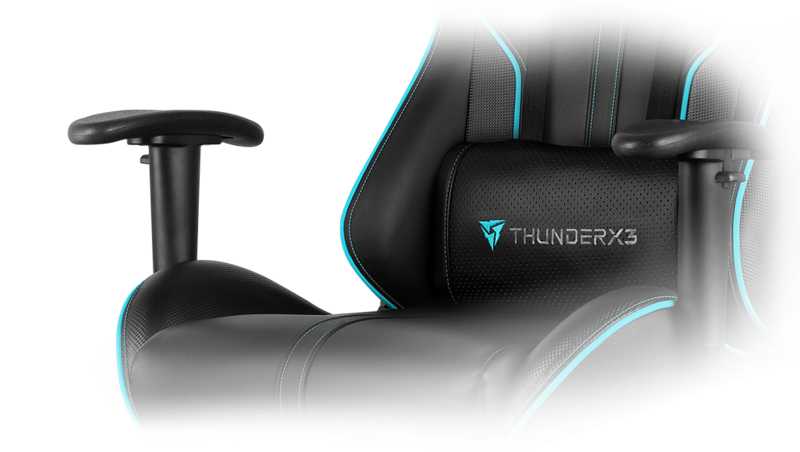 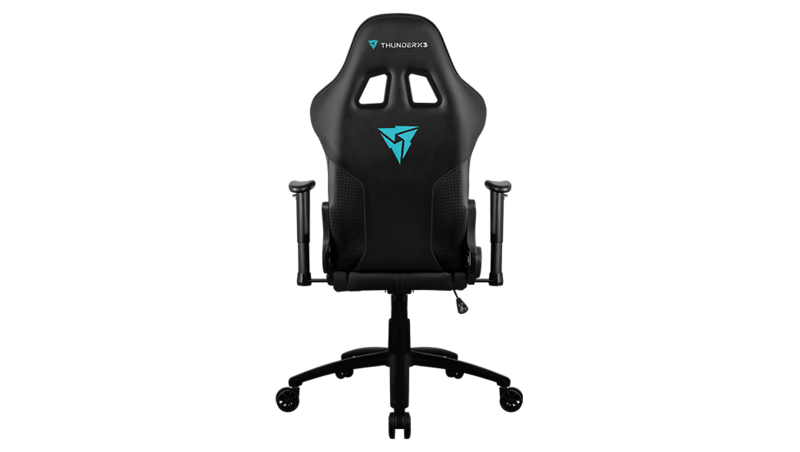 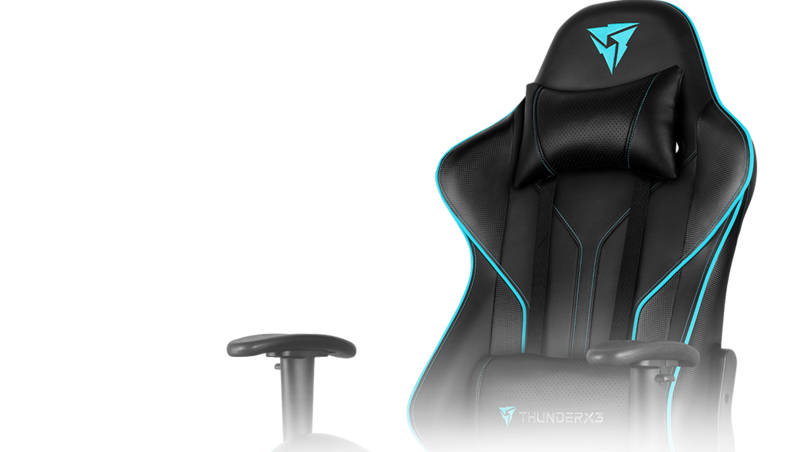 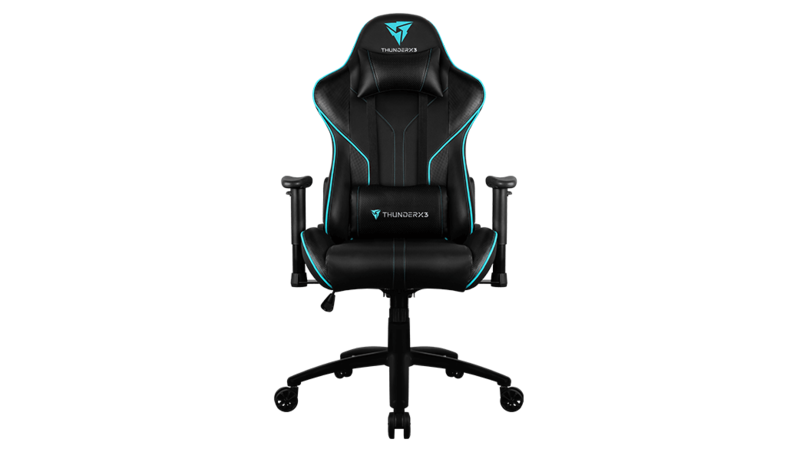 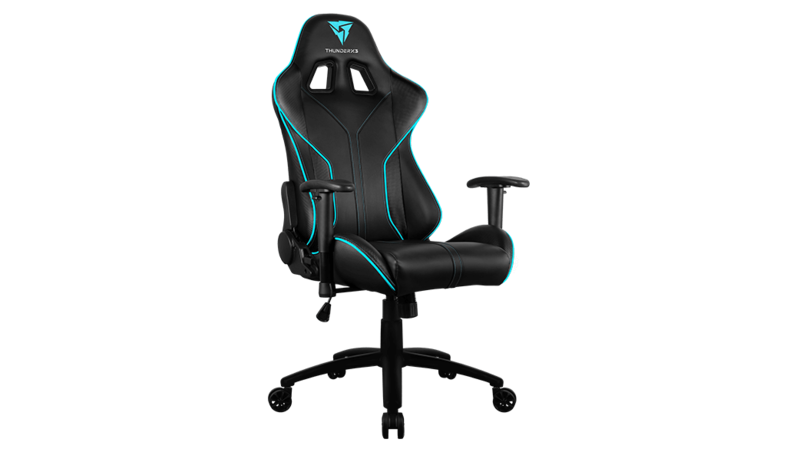 Inspired by racing seats, the RC3 was designed for those seeking the thrill of speed and the relaxation of comfort, all in one great gaming chair. Adjust the backrest, two-directional armrests, or chair height and set it to just the way you like it. 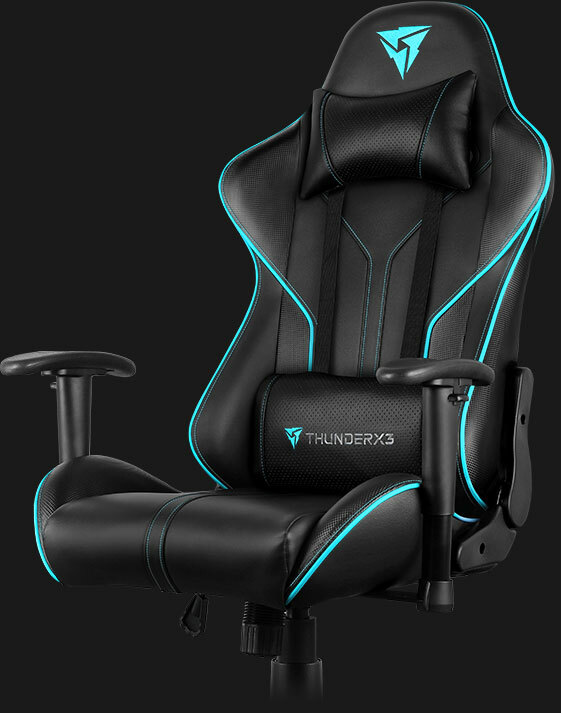 With high density molding foam that adjusts to your unique body shape, the RC3 prioritizes your comfort above all else. 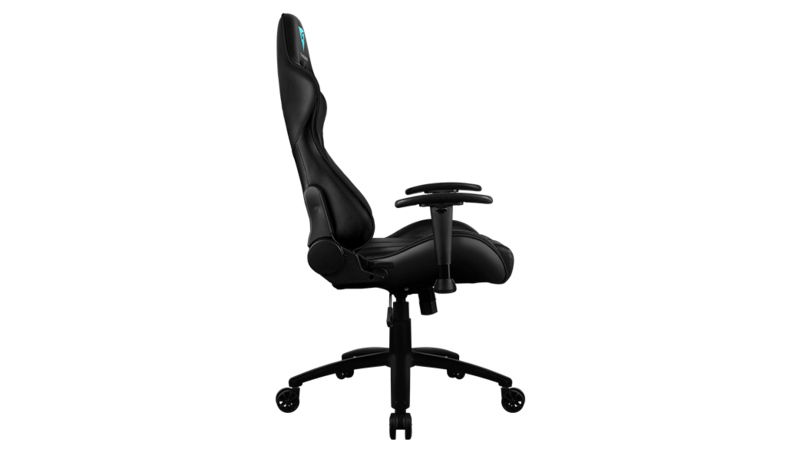 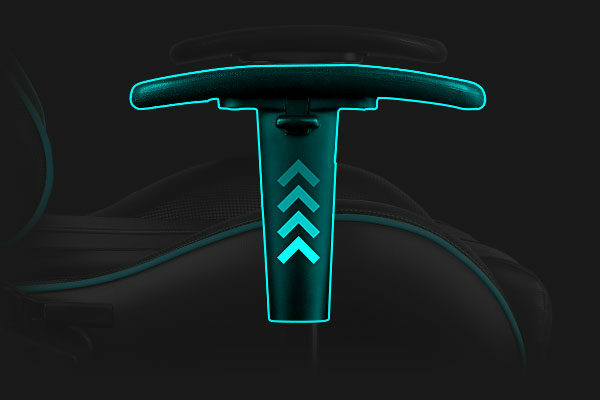 A firm seat with a smaller headrest and back cushion for all-day comfort and support. 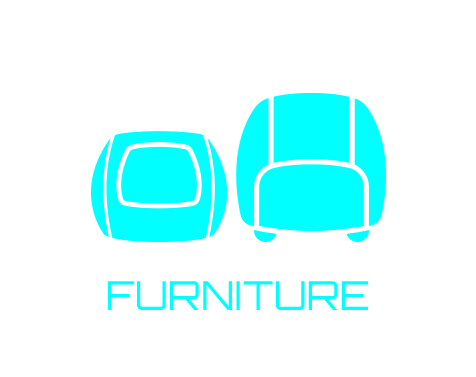 A power nap will boost your memory, cognitive skills, creativity, and energy level. 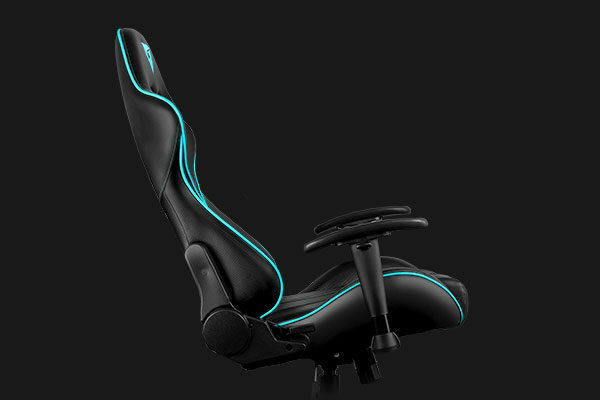 With the back rest adjustable up to 180°, you can lie straight down to power nap or just stare at the ceiling – whichever you prefer. 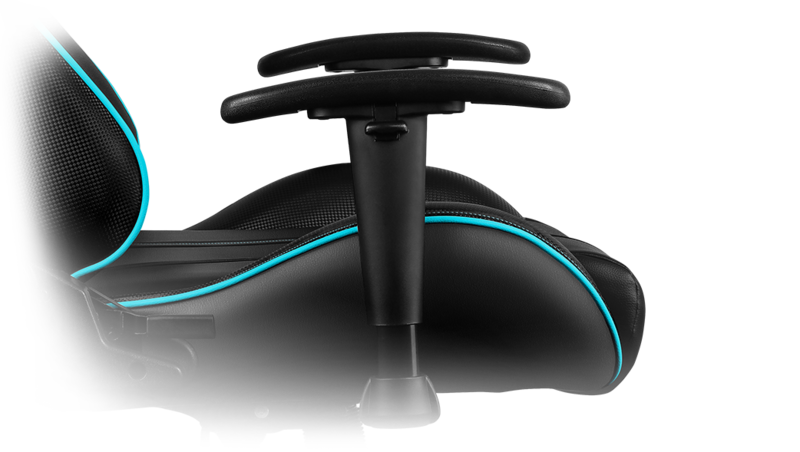 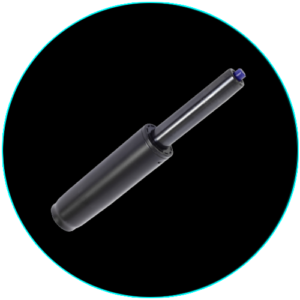 Pneumatic seat-height adjustment with a 360-degree swivel. 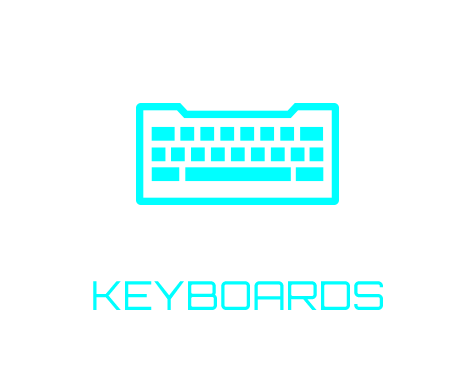 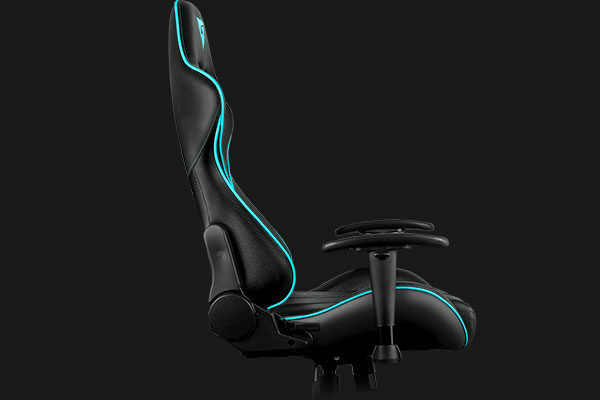 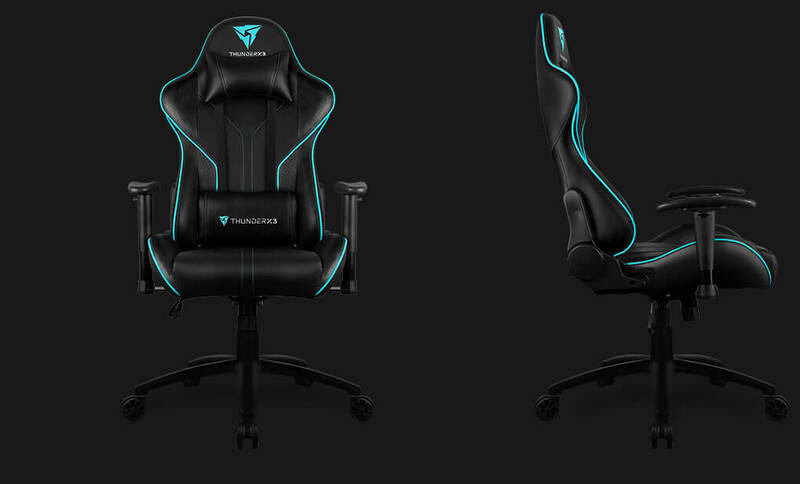 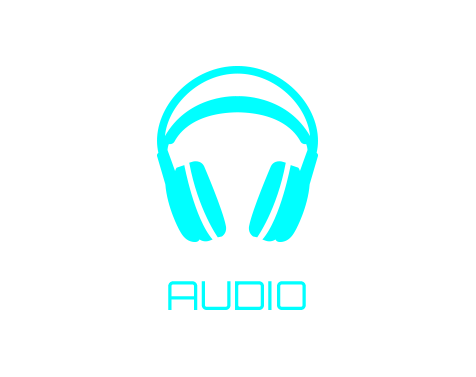 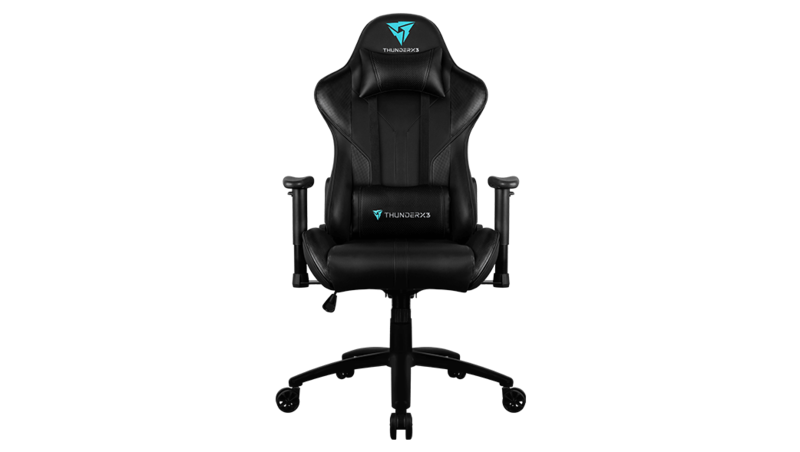 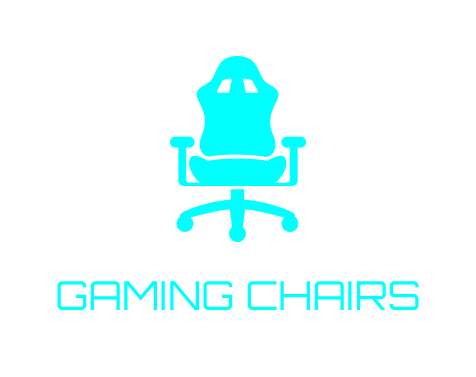 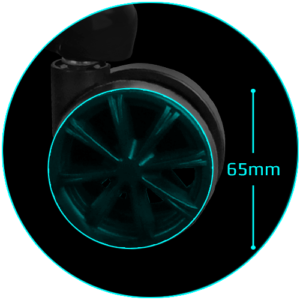 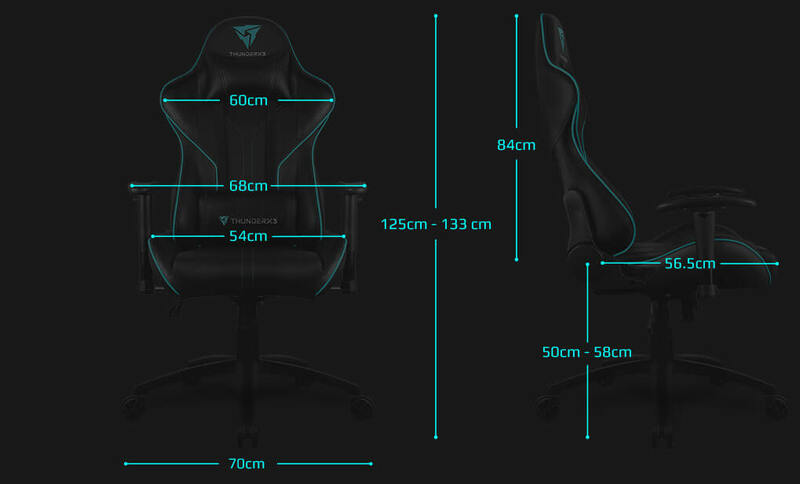 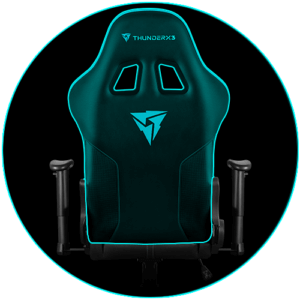 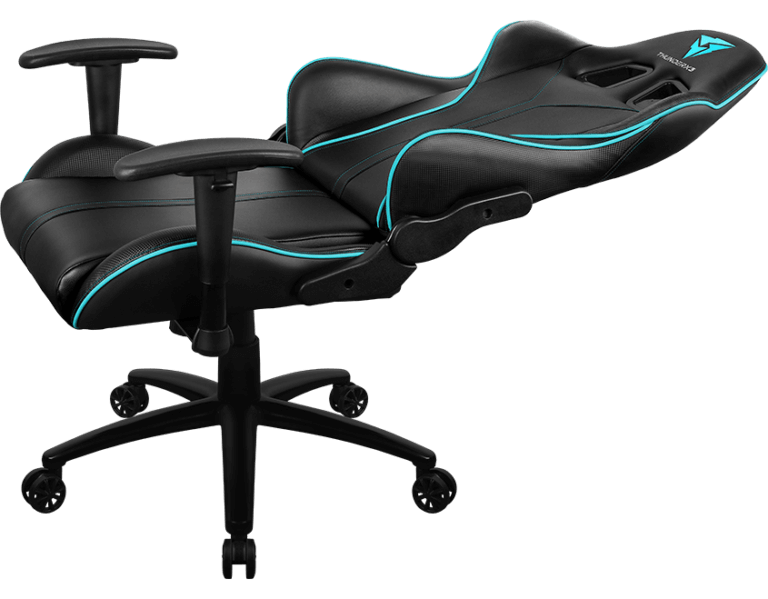 Perfect for gamers between 160cm – 185cm tall. 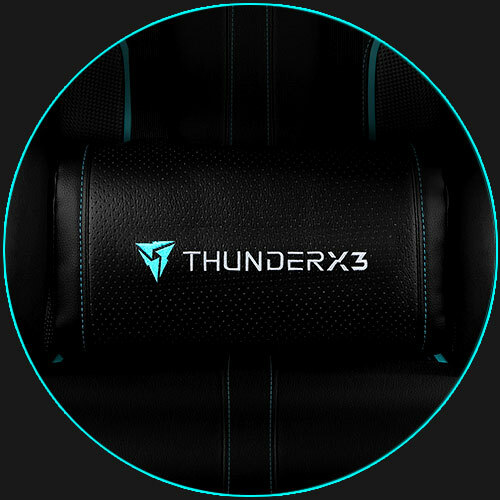 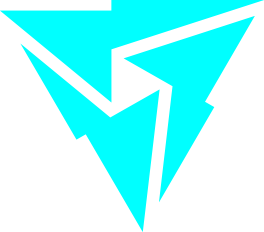 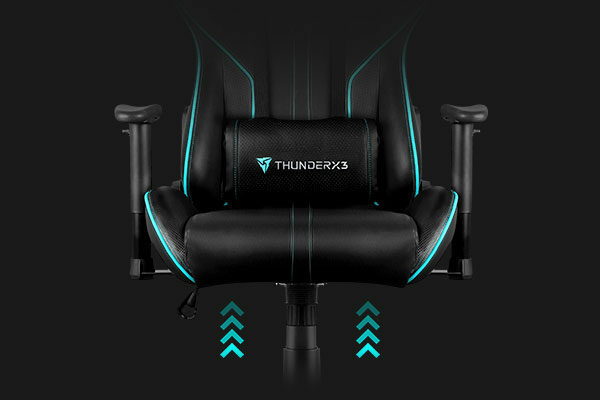 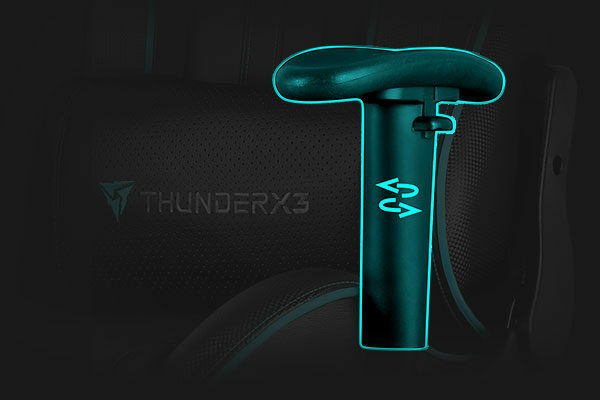 It is the combination of quality, solid materials and mechanisms that make ThunderX3 chairs the better choice. 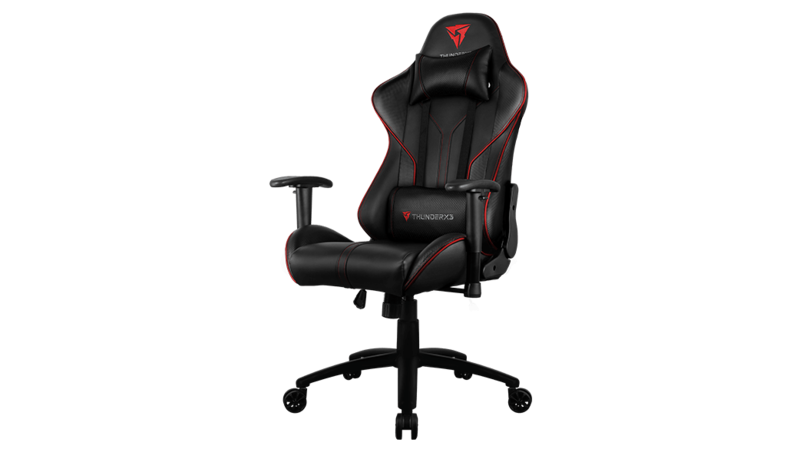 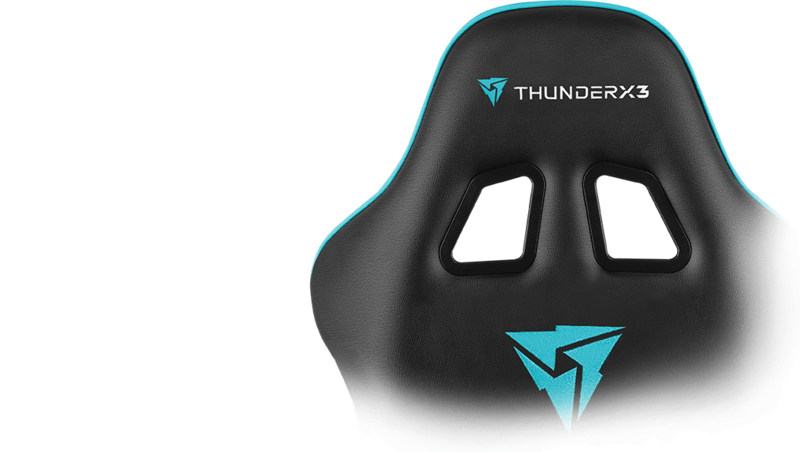 A uniquely designed strong sturdy nylon base ensures your chair remains stable and is built to last. 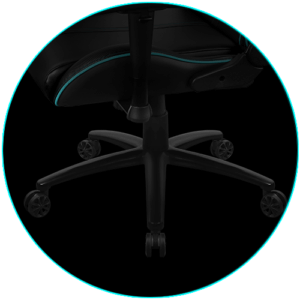 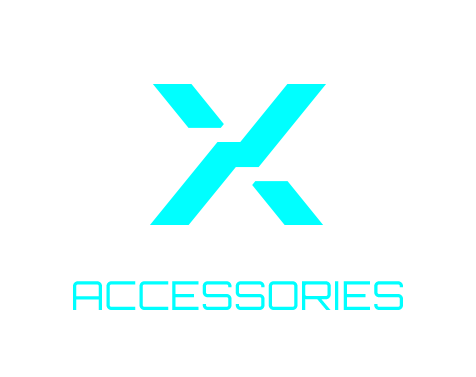 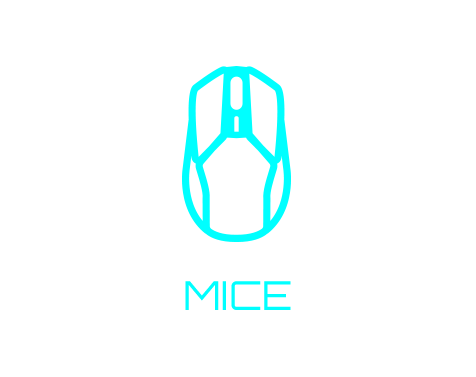 Nylon wheels ensure a smoother movement. 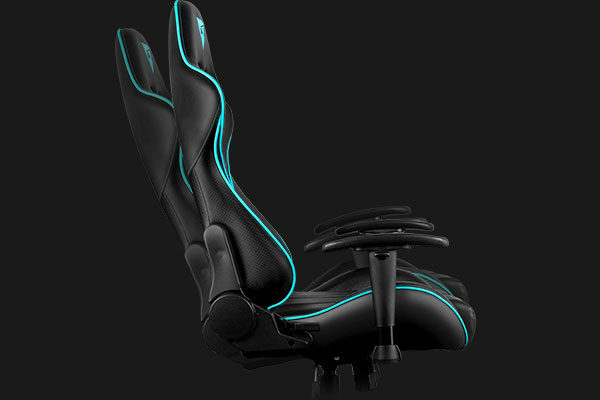 Tough metal frame ensures chair doesn’t warp or break. 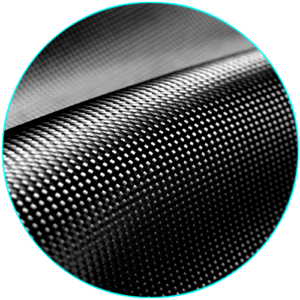 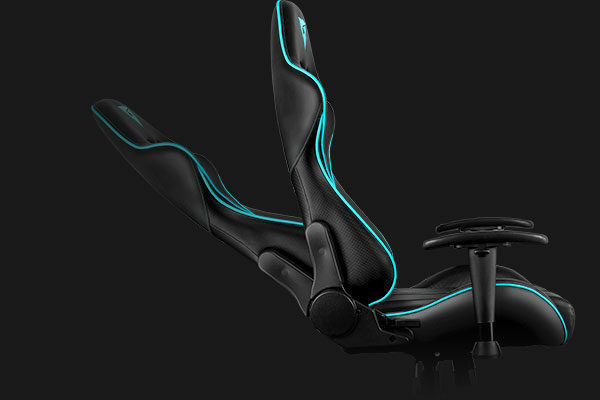 Complementing the racing car seat design, the carbon fiber look at the back of the RC3 conveys a unique premium quality ensuring the chair looks great from all angles.